Well, here we go with recipe two. It is a take on a Scandinavian favourite; traditional meatballs, known as Frikadeller. I use to love eating these meat patties for dinner with mushroom sauce on top of creamy mash potatoes. 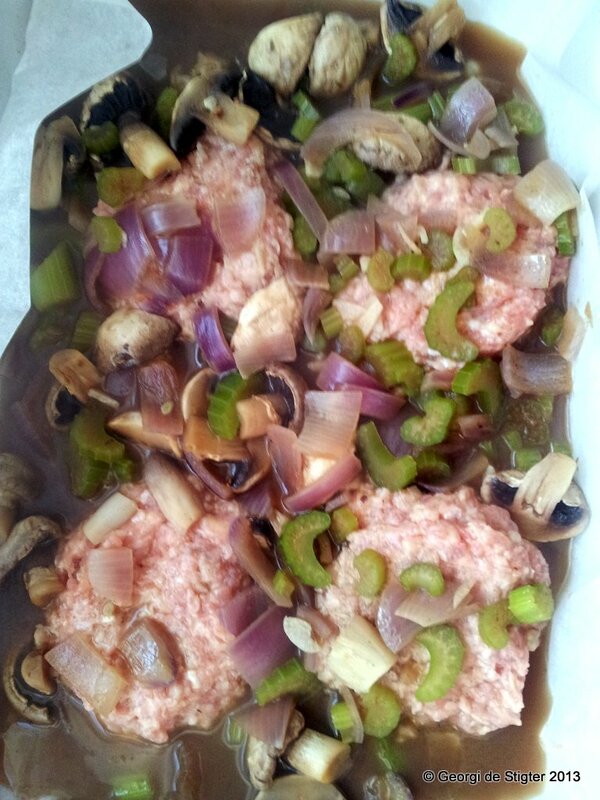 Today however I will cooking these rissoles in the oven with a mushroom and celery sauce and served on top of a bed of wilted Spinach. Pre-heat the oven to 170°. 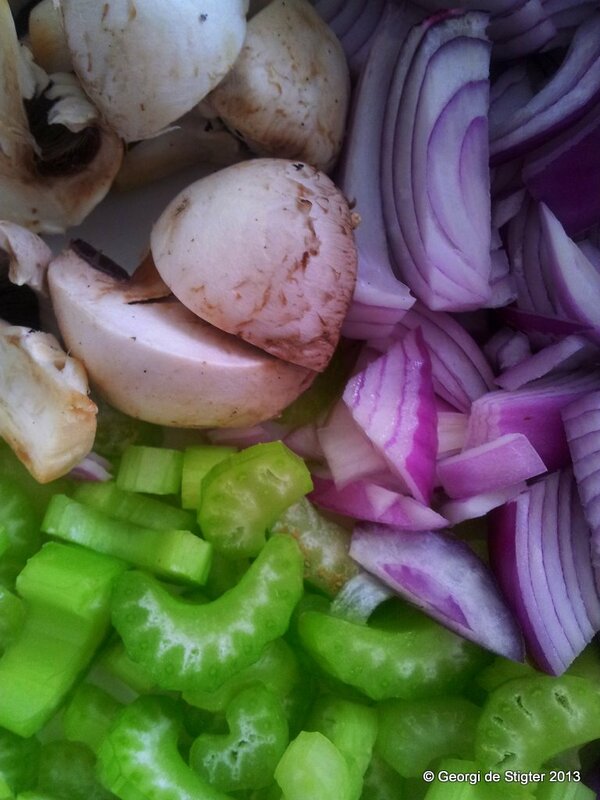 Finely chop the onion, celery, garlic and quarter the mushrooms. Place the pork mince in a bowl, crack the egg into it and mix it together with a fork. Sprinkle the flour over the meat mixture and stir to combine. You may need to add more flour, make sure the mixture shapes into balls easily. Pre-heat a pan with the butter and the add the onions, celery and garlic. Cook for around 1 minute then pour the 2 cups of water into the pan. Simmer for around 2 minutes, before adding the mushrooms and dark soy sauce. Taste and add additional salt and pepper to your personal tastes. 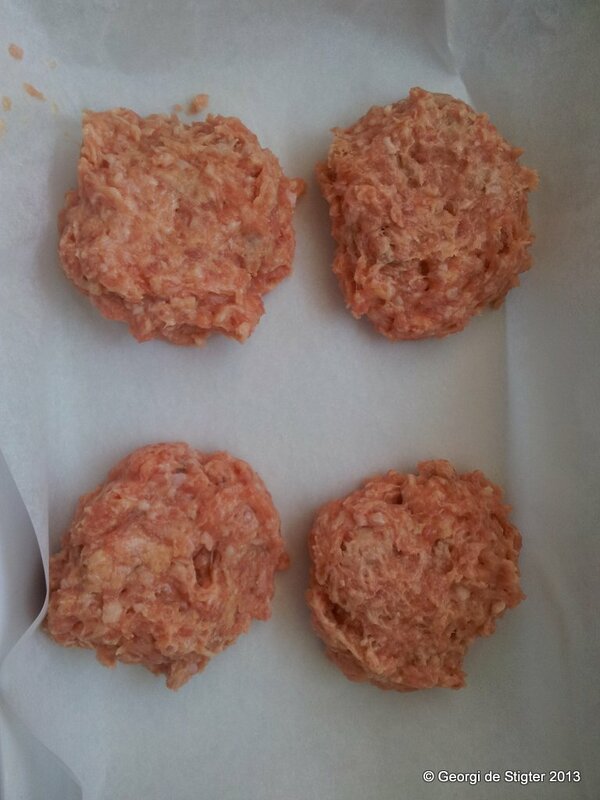 Take the Frikadeller mixture out of the Fridge and form four patties. Place these in an oven dish. Then pour over the mushroom sauce. Cook in the oven for around 1 hour. 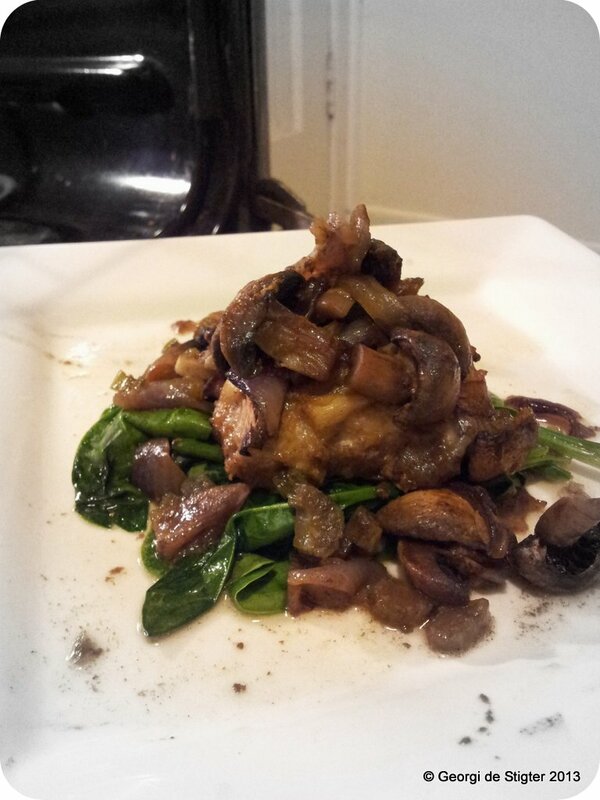 Remove and serve over a bed of wilted spinach. Tak for Mad – Thank you for the food. Join us over the next two days for the last of our worldwide culinary adventure.